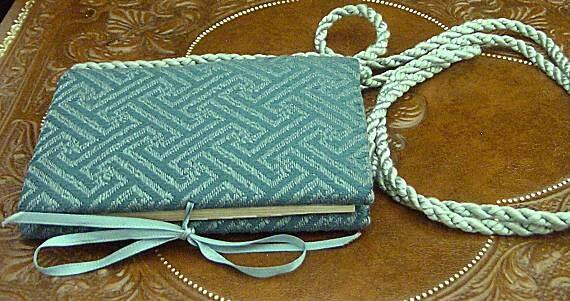 Every one will think you are pious, but this is not really a prayer book! 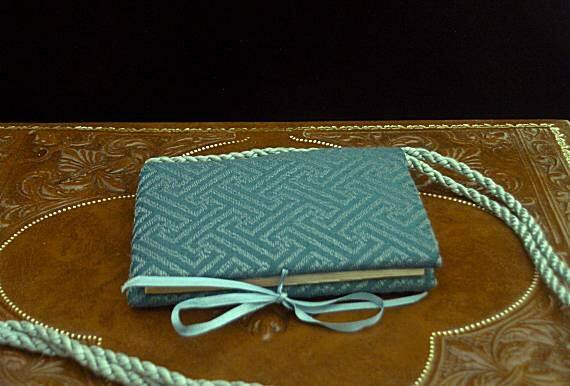 It's a damask covered address book that hangs from your belt or waist brooch making it convenience to add contact information for all the new people you meet at Costume Balls, Ren faires, SCA events or other festivals. 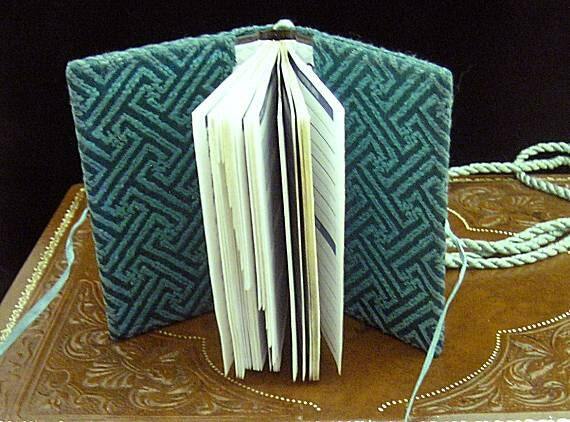 This girdle book is made of a teal green damask with a "maze" design. 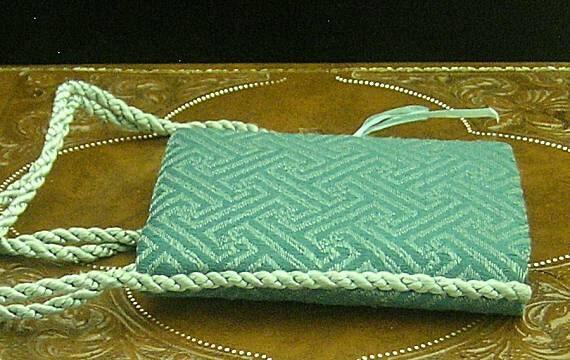 It has a lighter teal ribbon for tying it closed and a twisted cord for hanging. The book is approx. 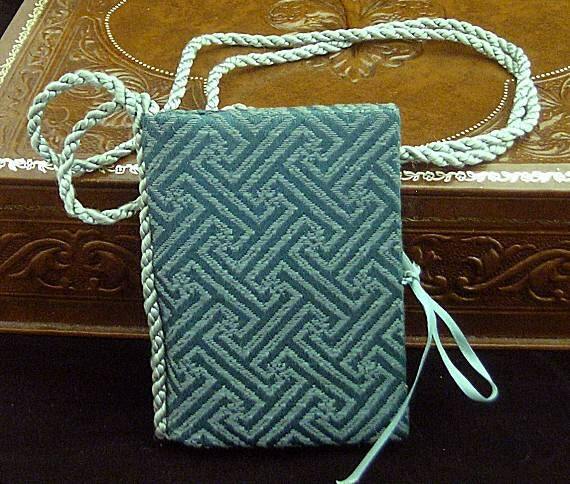 3 x 4 inches and hangs approx. 18" from the belt or girdle.